As I said before choosing a client is a powerful tool that shapes your business. My first client was Toyota. Toyota is still a client 25 years later. They built my business. They educated me. I delivered more than I promised and over the years they have rewarded me will millions of dollars in business. As important, they have been a referral for other accounts as well as allowing me to us them as a reference. Once I had experience in the import car business I was able to get other business from similar accounts as well as expanding my business to suppliers to the automotive industry. What you learn from one account should be applicable to your search for new accounts. Once you establish yourself as an expert resource you can leverage that relationship. McDonald’s was impressed that I worked with Toyota so they gave me an opportunity. Microsoft hired me on the basis that I worked with Toyota and McDonalds, Honda hired me because of Toyota and then expanded my involvement because of McDonald’s and Microsoft, etc. If you want to be a visionary organization you must understand that your customers don’t care about you or your company, they care about what you can do for them. If you have a case study that shows you understand the industry, great. If not, become an expert in their business. Read the business magazines, Wall Street Journal, Investors Business Daily, Barron’s, Inc, Forturn, etc. You don’t need more clients, you need more business. Focus on the clients you have first. Then go after new ones. Today the rules have changed so often no one knows the rules. Who would have thought that anyone could sell water? What’s next air? Whoops that’s being done in Las Vegas at Oxygen Bars. In order to irreplaceable you must provide the results they need, when they need them, and if you do, price is not the issue. People and organizations talk about price but if you want to remain different being the low price provider is the worst point of distinction you can offer…unless what you sell is so plentiful the price is the only consideration. Wait? What is more plentiful that water? Why would anyone sell water? Water, which is free to many of us, is becoming a premium priced product. What can we learn from water? It’s it time to reconsider who you are, what you offer, and how you should be compensated? 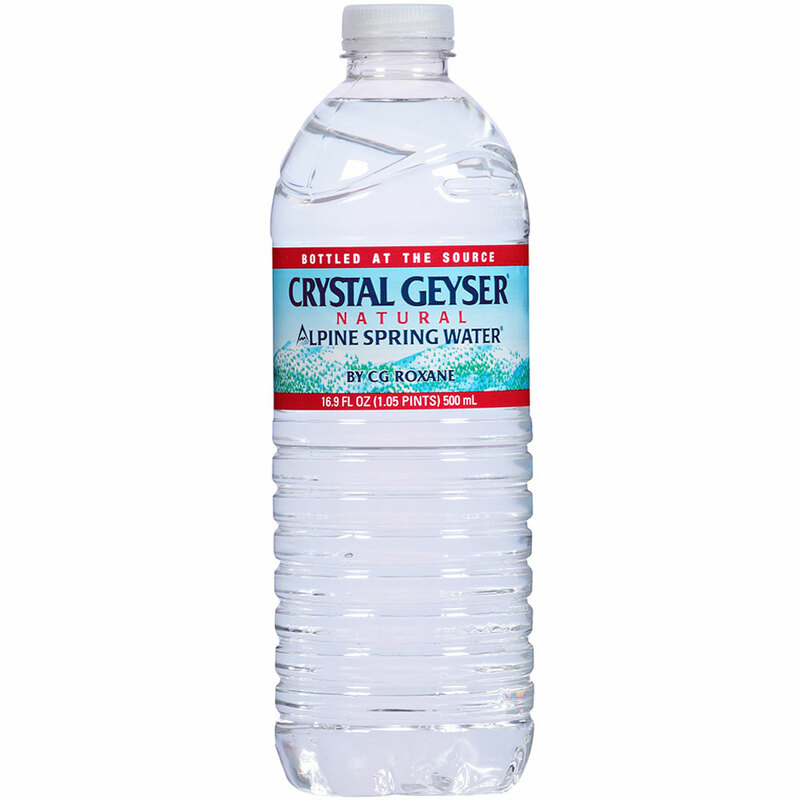 How many bottles of Crystal Geyers have to be sold to equal the income that Bling and Kona waters command? 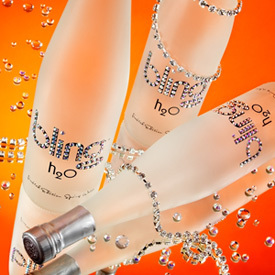 Bling is $40-$60 for a 750ML bottle, Kona Nigari water is $33. 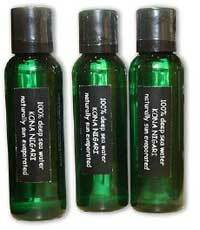 for 2oz, and Crystal Geyser is about $2.99. Do you need all the business you can get or should you be more discerning and apply what learn from other industries? It’s all about the value that your clients put on your services. Focus on the clients you have, learn why they do business with you and then find new clients, but only after you follow the roadmap that got you to the first client. Outline the strategies that will make a differance to you next client. Remember it’s not about price. If price was the only consideration then how can Bling and Kona compete with Crystal Geyser? It’s about the value the customer/client is willing to pay for what you have to offer. Using water as the example, if you were thristy, won’t tap water take care of the thrist? Then how can anyone justify the fact that bottled water is 10 times the price of tap water? It’s all abour perception. Ask yourself one question? Why does your current client buy from you instead of your competition? Something as simple as water is no longer a simple solution to thristy people. There are colored bottles, added flavors, celebrity endorsements, compelling experiences, and disruption to the beverage industry. Water is now more expensive than liquor in some markets. Water is now distinctive. It’s a status symbol. It’s about the differentiation you create with your brand, products and services. Be disruptive. Be bold. You don’t need more business. You need more profitable business. Today, innovation is about disruption. It’s about finding what gets your current client to do business with you and then find accounts that are both profitable and replicatable. After all Shift Happens! So let’s drink to that. RULE 3: Choose accounts that are both profitable and replicatable.